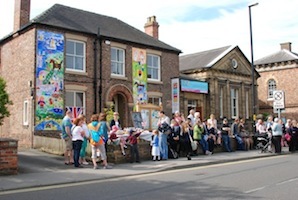 Rural Arts is a fabulous organisation working to bring performance and arts experiences to venues across North Yorkshire and the Tees Valley. 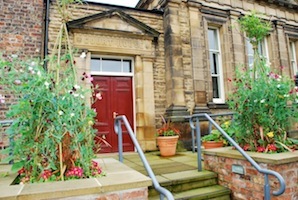 From their beautiful converted Courthouse base in Thirsk, they run workshops, a gallery, shop and performances. Their ON Tour scheme brings professional performance acts from around the world to community venues across a 4000 square mile area – giving rural communities the opportunity to experience arts that would never otherwise reach those areas. Hedgepig has previously visited The Courthouse with our production of Miss Julie, which received a near sellout audience and some wonderful responses. We’re hugely excited to be bringing The Maids back to this cracking venue. It also serves possibly the best cake in the North of England! Our performance of The Maids is running as part of the Courthouse’s FRESH Pay-What-You-Feel season – simply come along for free and drop whatever you felt the show was worth into a hat at the end. It’s a model that encourages people to try something new risk-free. All we ask is that you lend us an hour of your time, and let us know what you thought afterwards.